About Mary Price: Mary Price is a basket weaving instructor from Woodstock Illinois. 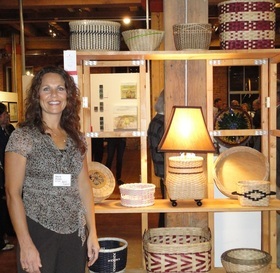 Her basketry works of art are marketed under the name Sunset Ridge Basketry. She has been weaving since 1996. Mary started teaching in 1999 from her home studio in Woodstock which she opens for private class bookings. She enjoys sharing her enthusiasm for the art of basket weaving with others. She travels offering classes at retirement communities, churches, libraries and community park districts and civic centers. She coordinates classes for home school students, Boy and Girl Scouts and in-home basket weaving parties. 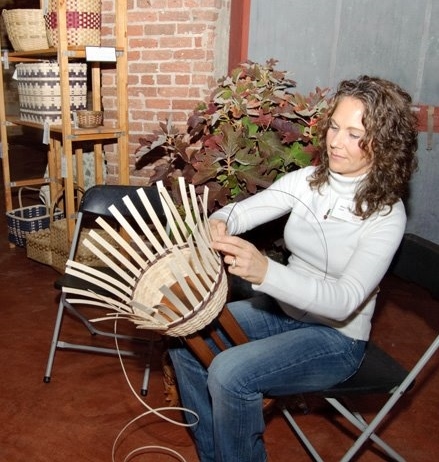 She has created her own basket patterns and specializes in practical, functional reed baskets.